No need to run from running. You’ve probably heard it said that exercise is medicine, but most people prefer to take medicines rather than working out. Studies have shown that regular exercise, especially running, can help prevent obesity, type 2 diabetes, heart disease, high blood pressure, stroke, and even some cancers. Research conducted at Mayo clinic has found that running for around 50 minutes a week can boost your health and could also protect your body from risk for stroke, arthritis, diabetes, high cholesterol, high blood pressure and even some cancers. You don’t have to run for hours, just run for 10 minutes a day and you got 70 minutes of exercise a week. Again, the study suggests that 50 minutes a week is all needed, so you could run for 5 days and be lazy for 2 days if you can’t imagine running every morning. A study was conducted on 55,000 adults aged 18 to 100 over a 15-year period to find if running could boost their lifespan, nd it was discovered that people who didn’t run had a life expectancy three years less than that of runners. Thus suggests that running could add three years to your lifespan. You don’t have to run like someone is chasing you, the study suggests that there is a benefit even if you run at slow speeds for mere minutes every day. Looking for ways to strengthen your bones without doing any heavy exercises? Researchers from the University of Missouri found that runners had greater spine BMD than cyclists. The study suggests that running is more efficient in strengthening the bones comparing the effects of weight-bearing or resistance exercise. Several studies suggest that a lot of “feel-good” chemicals are released in the brain as a result of long-distance running. These feel good chemicals can keep you calm, happy and energized. These chemicals can also help alleviate stress and help you relax. A study conducted at the University of Gothenburg in Sweden concluded that people who work out regularly, especially running, experienced fewer migraine. Travelling to a new place and got a migraine? 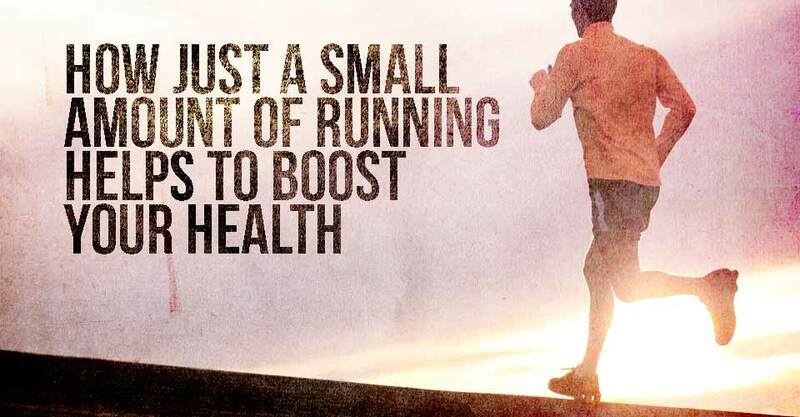 All you have to do is get up and go for a quick run. Several studies conducted on this topic conclude that running isn’t necessarily bad for your knees. Running can actually safeguard your joints from arthritis. A study conducted on 74,752 runners, in 2004 has suggested that running significantly reduced OA and hip replacement risk and helps in preventing arthritis. The people who say that running causes arthritis and ruins knees are probably the ones who are too lazy to run every morning. The National Cancer Institute strongly suggests that people who workout on a regular basis, especially running, have lower risks of colon and breast cancer. * Running burns about 50 percent more calories per mile than you would by walking the same distance. * Regular exercises like running could help you to remember things by keeping your brain intact. * Just 10 minutes of physical activity like running allows you to sleep better than people who doesn’t do physical exercises, according to a 2013 survey from the National Sleep Foundation. * The American Heart Association recommends that physical exercises like running, just three or four times a week will help a lot to lower blood pressure and cholesterol naturally.